In a comprehensive report, a team of researchers bring the latest science to bear on these issues, providing a review of the scientific research on sexual orientation. “We wanted to write a comprehensive review that was ‘state of the art’—in doing so, we also wanted to correct important misconceptions about the link between scientific findings and political agendas,” explains psychology researcher and lead author J. Michael Bailey of Northwestern University. Various biological factors—including prenatal hormones and specific genetic profiles—are likely to contribute to sexual orientation, though they are not the sole cause. Scientific evidence suggests that biological and non-social environmental factors jointly influence sexual orientation. Despite these points of consensus, some aspects of sexual orientation are not as clear-cut. While Bailey and colleagues describe sexual orientation as primarily falling into categories—lesbian, gay, or bisexual—Savin-Williams argues that considerable evidence supports a sexual continuum. He notes that the label ‘bisexual’ serves as a catchall for diverse sexual orientations that fall in between heterosexual and homosexual. As a result, his estimate of the prevalence of the nonheterosexual population is double that of Bailey and colleagues. From their review, the authors also conclude that gender nonconformity in childhood—behaving in ways that do not align with gender stereotypes—predicts non-heterosexuality in adulthood. According to Savin-Williams, the degree to which this is true could be a consequence of how study participants are typically recruited and may not be accurate among more representative samples of nonheterosexual individuals. The report authors and Savin-Williams agree on most issues, including that a major limitation of existing research relates to how sexual orientation is measured. 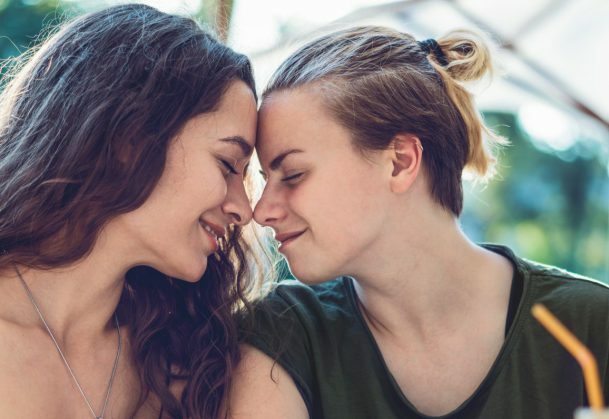 Most researchers view sexual orientation as having several components—including sexual behavior, sexual identity, sexual attraction, and physiological sexual arousal—and yet, the majority of scientific studies focus solely on self-reported sexual attraction. The decision to use these self-report measures is typically made for pragmatic reasons, but it necessarily limits the conclusions that can be drawn about how different aspects of sexual orientation vary by individual, by culture, or by time. Co-authors on the report include Paul L. Vasey (University of Lethbridge), Lisa M. Diamond (University of Utah), S. Marc Breedlove (Michigan State University), Eric Vilain (University of California, Los Angeles), and Marc Epprecht (Queen’s University). The full report and the accompanying commentary are available online. Does anyone know of any studies that elaborate on the difference between sexual attraction in men vs women that they have the link to?